Edmund Burke (1729-1797), an Irish born American, who was a staunch supporter of the American colonies’ revolution against Britain’s King George III, is credited with the above quote. As a statesman, author, orator and political theorist he is also remembered as the founder of Anglo-American conservatism. Burke clearly understood how evil arises and prevails among a body of people. Today, in America, and around the world, it seems that the majority of people are ignorant, duped or just do not care about the evil in their midst. The Judeo-Christian Bible is the standard of absolute truth for hundreds of millions of people in the United States and worldwide. It clearly defines right from wrong; good from evil. However, in today’s world, absolute truth is quickly falling along the wayside, even among those that claim to adhere to the biblical view of good and evil. There are, of course, many books, sermons and teachings by renowned Bible teachers and authors. However, there are three little known publications that offer tremendous insight into the subject of evil and how it creeps into the arena of mankind and gains a strong foothold. 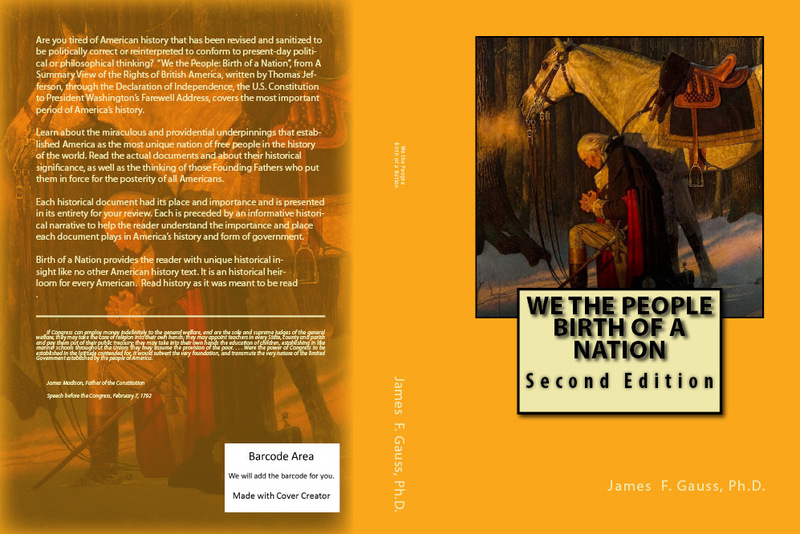 The first is a short book (123 pp.) by former British evangelist and Baptist pastor, T. Austin-Sparks (1888-1971), called Strong In The Day Of Battle. It is a powerful book on spiritual warfare and how to identify and overcome evil in ones midst. As far as I know it is only available through Emmanuel Church, 12,000 East 14th Street, Tulsa, OK 74128-5016 or by calling (918) 838-1385. It is made available free as arte other T. Austin-Sparks books. The second is an equally powerful and insightful book, The Omega Prophecy, by Pastor David Anderson. Written in 1998, it is available on Amazon.com. This book never quite caught on but it should be a best seller and read by everyone concerned about world events today. It is quite prophetic in foreseeing the rise of evil and terrorism as it exists today. The third is, Mighty Prevailing Prayer, by Wesley L. Duewel. Published in 1990, it has been edited and re-released in 2013. The entire 44 chapter book is an essential study on the importance of prevailing prayer. Chapters 34-44 describe the strategies of Satan and the importance of spiritual warfare to defeat him. It is the Bible and the insight of these three authors that I rely on to present the Tactics and Strategies of the Devil and the ones he uses to promote and establish evil among mankind. Anti-Christian; Anti-Jew. Evil hates and despises Christians and Jews and would do anything to diminish their influence and wipe them off the face of the earth. For many deceivers have gone out into the world who do not confess Jesus Christ as coming in the flesh. This is a deceiver and an antichrist (2 John 1:7). Tyrannical & Intimidating. (blog link) Evil is bellicose, confrontational, demanding and insisting on getting its way, no matter what the cost to others. It is dictatorial, exercising totalitarian principles. Cunning & Deceptive. Evil is cunning, crafty and always plotting to cause disruption and chaos in the lives of others. The more unsettled it can make society, the more Evil rejoices. Evil diverts attention from its evil plans and deceives people into believing that a lie is the truth. It repeatedly tries to convince others that bad is good and good is bad. Treasonous. Evil denies culpability while scheming to undermine the safety and security of others. Evil puts others in harm’s way, turning a blind eye to obvious threats to personal safety. It subverts what is best for others in the interest of a personal agenda, thus denying any allegiance or loyalty to others; it is treasonous. God hates treason and those that commit treason, especially in violation of His word and His covenant agreement upon which the United States was founded (see Ezekiel 17:19-20). Destroyer. Evil is a destroyer. It seeks to destroy what is good; what is ordained by God. It seeks to destroy the family unit; tear it apart and cause mayhem. It seeks to destroy innocent life and life that is still in the womb. The lion has come up from his thicket, and the destroyer of nations is on his way. He has gone forth from his place to make your land desolate. Your cities will be laid waste, without inhabitant (Jeremiah 4:7). Lies & Damnable Lies. Evil pontificates and proliferates such outright lies as, “The world is less violent than it has ever been. It is healthier than it has ever been,” when the intelligent and wary observer can easily see and conclude that the world is going “to hell in a hand basket”. Evil perpetrates the perception that all is well when it knows full well that hardship and destruction are on its way. Jesus, in speaking to the Pharisees, said: You are of your father the devil, and the desires of your father you want to do. He was a murderer from the beginning, and does not stand in the truth, because there is no truth in him. When he speaks a lie, he speaks from his own resources, for he is a liar and the father of it (John 8:44). Divide & Conquer. Evil seeks to divide and conquer; to pit one person against another; one group against another. By creating disunity and sowing discord, evil scatters, demoralizes and weakens the opposition. But Jesus knew their thoughts, and said to them: “Every kingdom divided against itself is brought to desolation, and every city or house divided against itself will not stand (Matthew 12:25). Creator of Crises. Evil seeks to cause turmoil and enjoys creating constant conflict. It is all too ready to jump into the fray of a confrontation and take sides before it knows the facts and thus perverts justice and the rule of law. Author of Confusion. Evil is the author of confusion. The more turmoil and disruption it can cause, the better in its plan to weaken society and the individual. For God is not the author of confusion but of peace, as in all the churches of the saints (1 Corinthians 14:33). Where God is not allowed to exist or His influence greatly reduced, there is no peace, only confusion and mis-guidance. Without God, sin runs rampant and society collapses. Lawless. Evil does not feel constrained by law. Evil is lawless. Evil is above the law. The law is for others; for fools, but not for Evil. Enslavement. Evil seeks to enslave the populace; to take away freedoms and self-determination and self-will; to gain control over the masses by making them dependent upon sources and means that evil deems best. Falsely Accuses & Antagonistic. Evil accuses others of wrong-doing, but constantly and consistently makes excuses for itself. Evil blames everything and everyone else for what goes wrong in and around its life and experience. Obfuscates the Truth. Evil sees no absolute truth, only shades of gray or what can be manipulated into false truth for evil to obtain its objective and get its way. Evil constantly calls evil good & good, evil. Narcissistic & Prideful. Evil focuses on itself; is prideful and arrogant. Evil takes credit for the good, but denies responsibility for anything bad or displeasing. Prideful Evil cannot and will not admit to any culpability or take any responsibility for anything that goes wrong or is wrong under its watch. For where envy and self-seeking exist, confusion and every evil thing are there (James 3:16). Usurpation. Evil is a usurper of all that is good; all that has been established for the benefit of the whole. It seizes power by force that rightfully belongs to the people. This power grab is illegal and without the agreement of the majority and in violation of established law. Masquerades as an Angel of Light. Evil disguises itself as an Angel of Light; a deliverer from ones woes and wants. It promises to satisfy everyone’s needs, wants and desires; usually at the expense of others. And no wonder! For Satan himself transforms himself into an angel of light (2 Corinthians 11:14). But in accordance with your hardness and your impenitent heart you are treasuring up for yourself wrath in the day of wrath and revelation of the righteous judgment of God, who “will render to each one according to his deeds”: eternal life to those who by patient continuance in doing good seek for glory, honor, and immortality; but to those who are self-seeking and do not obey the truth, but obey unrighteousness—indignation and wrath, tribulation and anguish, on every soul of man who does evil, of the Jew first and also of the Greek; but glory, honor, and peace to everyone who works what is good, to the Jew first and also to the Greek (Romans 2:5-10). This, of course, is not a complete list of the characteristics of Evil, but it gives you an idea of how Evil slips into the life of an individual or society. If the Lord be God, follow Him! But if Baal [false god], then follow him!